I think there’s a movement afoot. A movement driven by the flow of available real estate information, one that may eventually see the flow of portal listings slowly ebb, like the hundreds of thousands of gallons of public water that evaporate annually from Nevada’s infamous Lake Mead. The evidence is already there, like the stark, 100-foot-high band of mineral-stained red rock that marks where the lake’s waters once flowed. Buyers and sellers are outrunning agents to your data. They have more power than ever before. Smartly, some agents have already started stockpiling alternative marketing strategies. Some agents don’t put listings in the public marketplace anymore. 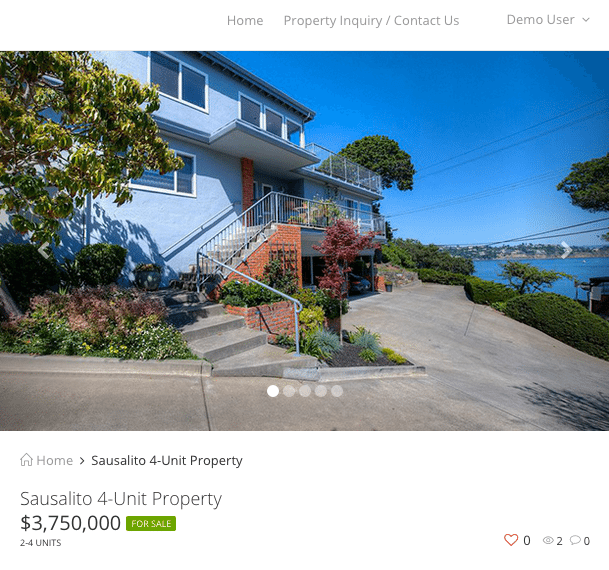 In the San Francisco Bay Area, an ever-growing cache of properties are being marketed privately on a website called Pocketlist.co. Is this where the market is headed? The time-honored strategy of broadcasting a listing to as wide a swath of the market as possible to bag just a single buyer, like a gatling gun in a zoo, may be waning a bit. As real estate grows ever hyperlocal and agents’ collective disenfranchisement with the data-selling tactics and growing industry power of the portals surges, real estate consumers and agents alike will respond like any other social demographic would when faced with a need for change: They’ll find a new way. Pocketlist is organizing the pocket listing market. A single-site exchange for private listings, Pocketlist listings can’t be on the MLS or any other online portal. According to the website’s founders, one-quarter to one-third of all Bay Area listings exchange hands without ever seeing the open market. When agents work with sellers who don’t want trails of unqualified buyers traipsing through their homes, a listing agent registers with Pocketlist and creates a listing page. All properties on Pocketlist are behind the registration wall, and buyers who want to browse are prequalified by Pocketlist representatives through a process that includes a phone interview, a prequalification letter, and extensive vetting via online profiles. An individual seller can also register on Pocketlist to post their home. If they need an agent or advice along the way, Pocketlist has a network of proven agents to connect with sellers. Obviously, Pocketlist properties do not show up on search engines. Nor is the scar of “days on market” even remotely evident. Since private buyers tend to move in and out of the market quickly, the odds are slim they’ll notice a Pocketlist listing that’s been hanging around a while. While exclusivity is clearly the prevailing sentiment here, Pocketlist’s founders are quick to point out they do not intend the site to serve only high-end listings. The Bay Area’s real estate market simply happens to have the nation’s most active pocket listing market. Pocketlist doubters will argue that its service won’t inspire competition among buyers. I argue that its the illusion of competition that matters; in fact, that’s all the public market offers as well. Illusion. No buyer actually sees a competing offer, just random faces at an open house. Moreover, real estate agents work hard to develop professional networks, from the best attorneys to other accomplished agents. What power does that network have when a listing is delivered to the public via every means of outreach possible? Why cultivate “spheres of influence” if you’re going to go outside the circle? Pocketlist.co will certainly have its share of tire-kickers. Even well-qualified buyers can take their time, or see a house and not like it. They can mark favorite properties on the site and a list of possibilities. The advantage to agents is working within a much smaller, more qualified micromarket. It also doesn’t hurt to test a listing’s value to the private market for a short period of time before expanding it to the wider marketplace. Pocketlist.co looks better than the portal sites and its listing pages are beautifully minimal, giving browsers just enough to ask for more. The site has been live for a little more than a month, and the future calls for more markets and additional functionality for registered buyers. Clearly, most private listings are luxury homes. But price doesn’t always denote luxury, especially in the Bay Area. Agents in the region who dwell in these markets would be smart to leverage this service as a way to sell their client on the idea of exclusivity. I believe that listings in the median sales price range of a market could benefit from being marketed to a more compressed buying audience. 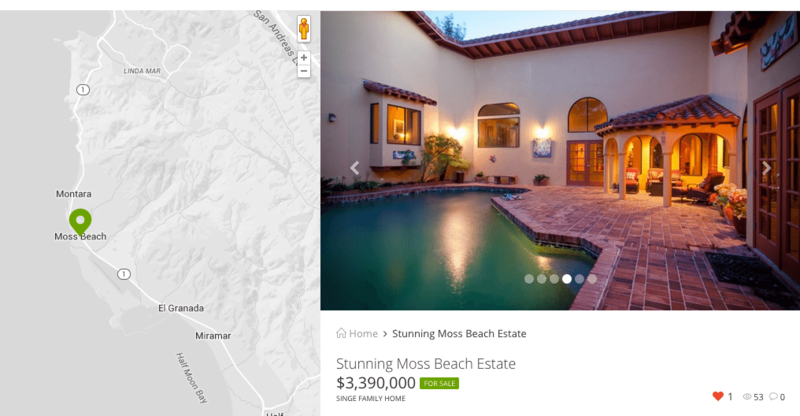 Will private listing websites by ZIP code, neighborhood or even street name rise from the depths of Zillow.com and realtor.com? Do you use Pocketlist.co? What do you think? Leave a comment and let us know!